Added on June 16, 2012 by Ken Maldonado. 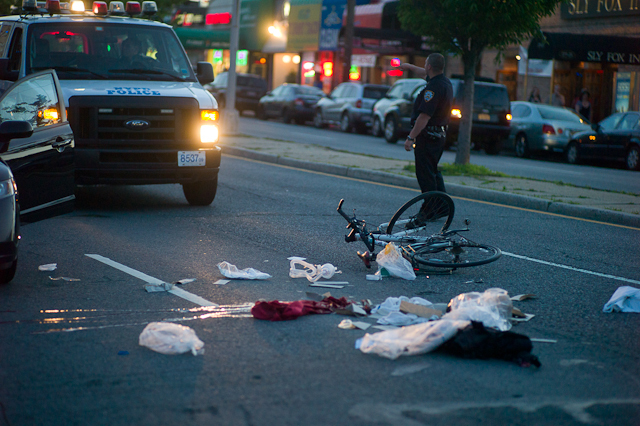 A 30-year-old cyclist was killed near the intersection of Union Turnpike and 178th St. in Fresh Meadows, Queens after the driver of a parked vehicle opened the drivers side door causing the cyclist to slam into it. The cyclist was impaled in the collision and died from his injuries.